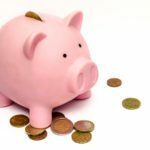 Dog treats are an indispensible item for pet owners. 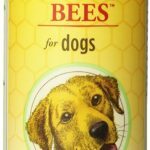 They assist in training, are perfect for hiding medication, and help your dog know that he or she is loved. However, with the wide selection of available dog treats on the market, it can be difficult to determine which is best. Here, Bil-Jac America’s VetDogs Skin & Coat Treats will be reviewed. The Bil-Jac company has been producing high quality training treats made from real food since 1947. The ingredients in these liver-flavored treats are simple: chicken, chicken meal, wheat flour, glycerin, phosphoric acid, salt, potassium sorbate, citric acid, mixed tocopherols, calcium propionate, BHA, and rosemary extract. With a 20% protein content and only 9.9 calories per treat, these made-in-the-USA treats are a great option for your pet. Additionally, a portion of the proceeds from each purchase of Bil-Jac America’s VetDogs Skin & Coat Treats goes towards America’s VetDogs. This non-profit organization trains assistance dogs for veterans and active duty personnel with disabilities. The benefits of Bil-Jac America’s VetDogs Skin & Coat Treats are plentiful. They have a strong liver odor, which is extremely enticing for dogs. Additionally, the treats are star-shaped, which makes it easy to break them into even smaller portions for training. These treats are specially formulated with skin and coat in mind, and are designed to improve your pet’s appearance thanks to a higher-than-average fat content. Additionally, Bil-Jac treats are premium quality yet affordable, costing only $6.54 for a 10 ounce bag. There are few limitations to this product. Most notably, some pet parents might find the odor off-putting, since they do smell strongly of liver. However, treats are contained neatly within a resealable pouch, and only emit an odor when the pouch is opened. For smaller dogs, treats should be broken into tinier pieces for training, as too many high-fat treats can cause diarrhea or loose stools. Pet owners who are seeking a high-value, healthy, and inexpensive treat for their dogs will appreciate Bil-Jac America’s VetDogs Skin & Coat Treats. 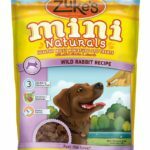 In addition to general obedience training, these treats are great for scent work, as they are easier for a dog to sniff out than other treat varieties. 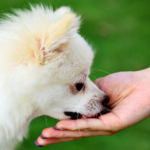 Caution should be used with smaller dogs, as treats with a high fat content should be limited. Similar items include Stewart Freeze Dried Liver Treats for Dogs, Rocco & Roxie All Natural Liver Treats, and Cloud Star Chewy Tricky Trainers Liver Flavored Treats. 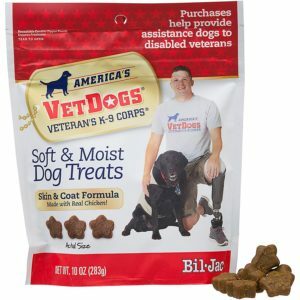 However, Bil-Jac America’s VetDogs Skin & Coat Treats are the only treats on this list specifically formulated for improving coat condition, while also giving back to the community. Bil-Jac also manufactures smaller treats made from the same ingredients, with over 300 treats found in a 10 ounce bag. This option is perfect for a smaller dog. 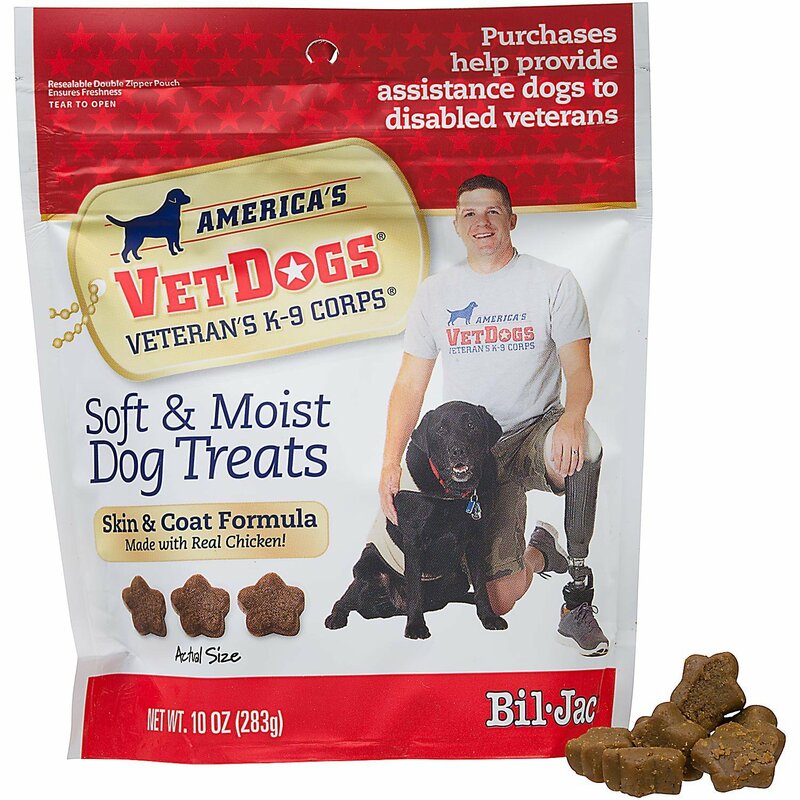 Ultimately, Bil-Jac America’s VetDogs Skin & Coat Treats are a wonderful, versatile option for dog owners. These healthy, high-quality treats are inexpensive while also benefitting important programs for veterans and their service dogs.